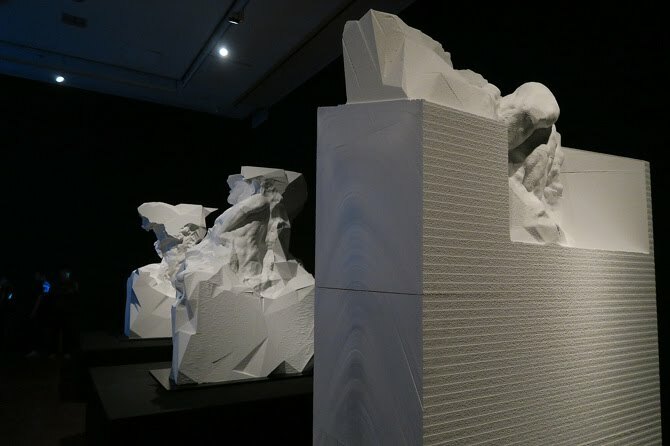 Captives is a sculpture series by London based artist Davide Quayola. 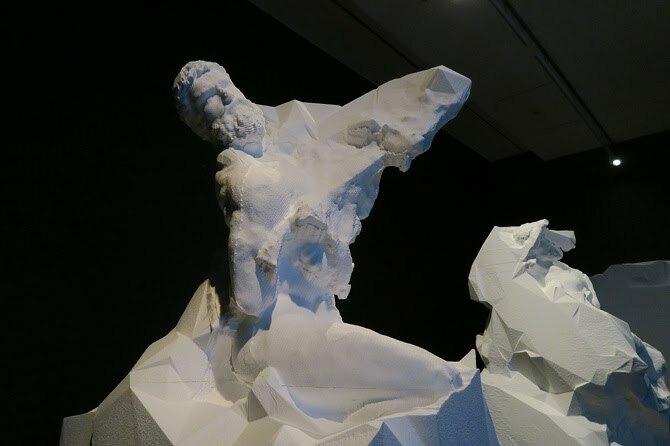 The series was Inspired by Michelangelo's "Non-Finito" technique, which leaves part of the sculpture apparently unfinished such that the figure appears to be stuck within the block of material. 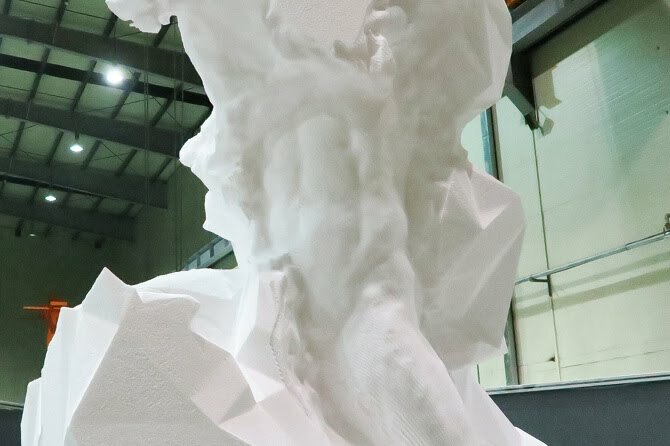 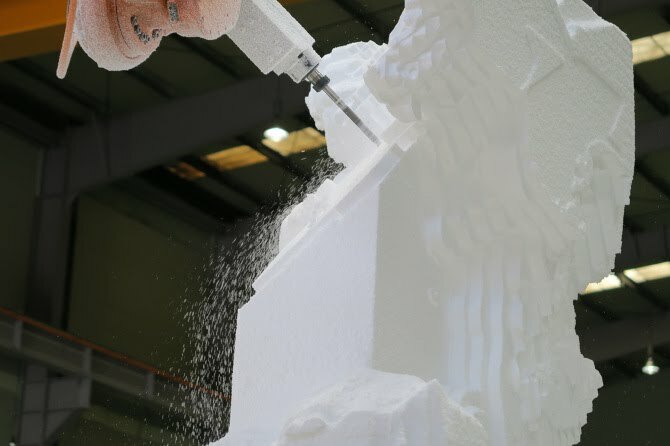 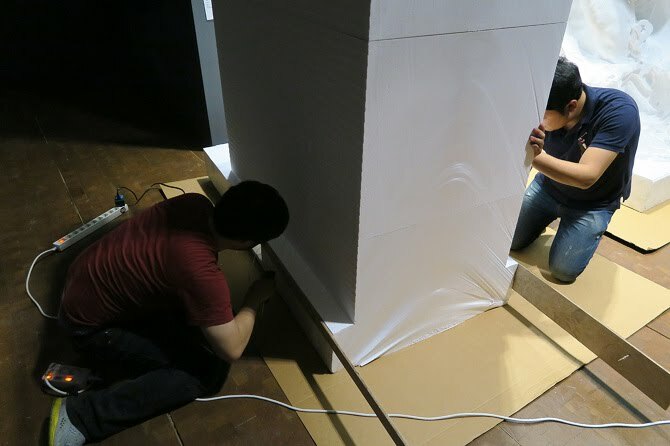 For his group exhibition in Seoul, Quayola wanted to fabricate the two 2-meter high sculptures with High Density Expanded Polystyrene (EPS) in South Korea. 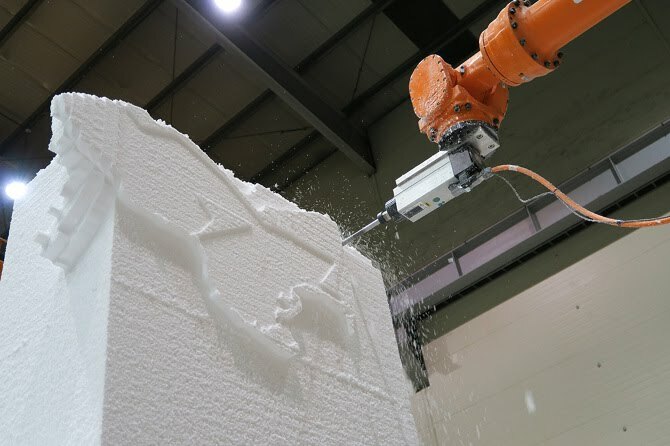 Since the robotic milling of a sculpture of this size in Korea was unprecedented, everything from material sourcing to tool selection had to be learned from scratch. 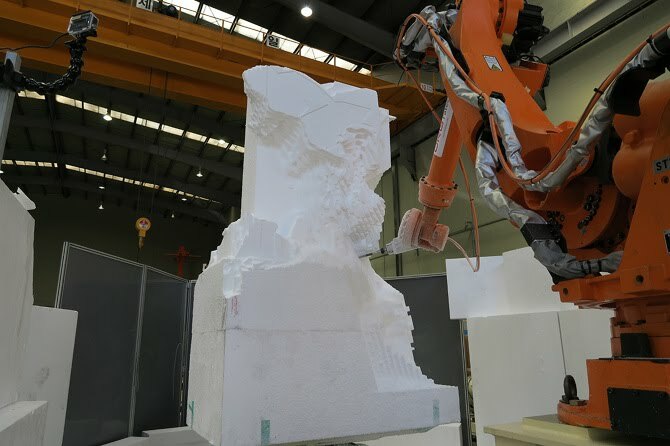 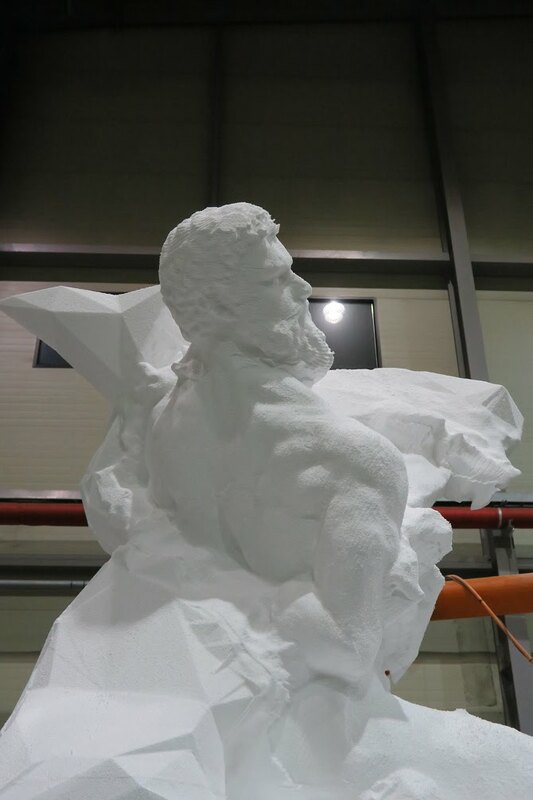 Since the only way to materialize the complex shape of the sculpture was by using a 7-axis industrial robotic arm, an additional rotary axis was connected to Nachi ST210F 6-axis robotic arm.